How can we promote people-centered governance in Africa? Cell phones/ information and communications technology (ICT) are shown to be linked to neoliberal understandings of more democratic governance structures, defined by the Worldwide Governance Indicators as: the rule of law, corruption-control, regulation quality, government effectiveness, political stability/no violence, and voice and accountability. However, these indicators fall short: they do note emphasize gender equity or pro-poor policies. Writing from an African feminist scholar-activist perspective, Assata Zerai emphasizes the voices of women in two ways: (1) she examines how women's access to ICT makes a difference to the success of people-centered governance structures; and (2) she demonstrates how African women's scholarship, too often marginalized, must be used to expand and redefine the goals and indicators of democratice governance in African countries. 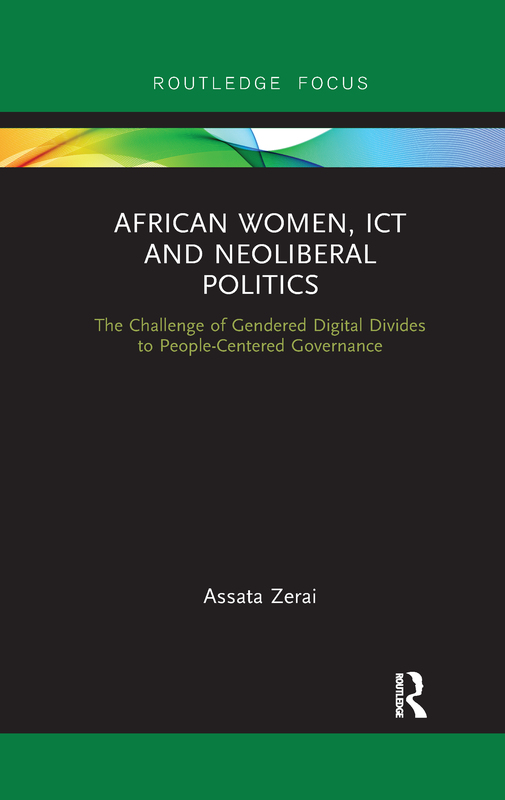 Challenging the status quo that praises the contributions of cell phones to the diffusion of knowledge and resultant better governance in Africa, this book is an important read for scholars of politics and technology, gender and politics, and African Studies.